Sound Affects PremierNewsThe Top 10 New Arrivals in April! This month is drawing to a close, and we have had another exciting month of gear both new and old – Here are the 10 best new arrivals for this month! 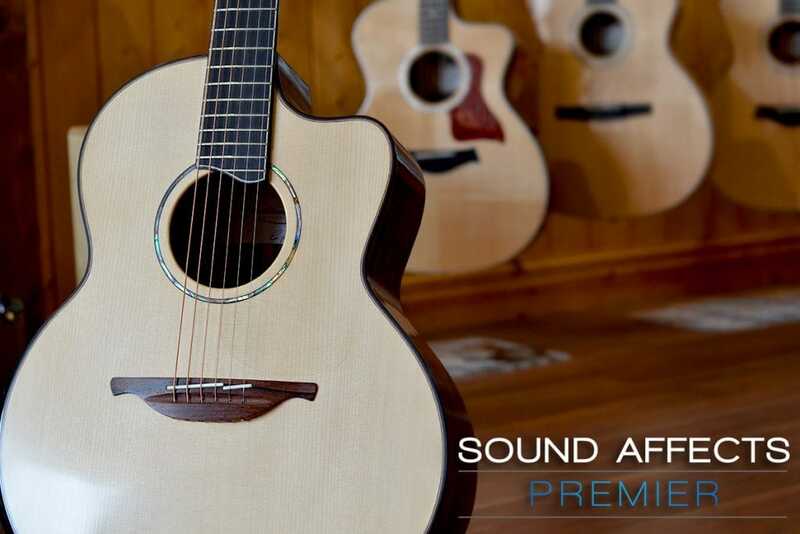 Sound Affects Turns 10 this year, and to commemorate this milestone, we specified three custom builds from Taylor. Director Tim went over to California to the El Cajon factory, where he spent the day with master luthier, Andy Powers. Andy and Tim worked together to pick the finest examples of AA grade Koa for the tops, backs, and sides of the three models. These all-Koa instruments were accented with Bloodwood binding, Gotoh 510 tuners, elegant twisted oval inlays, and Taylor’s beautiful ‘Shaded Edgeburst’ finish, to truly accentuate the figuring on these fantastic guitars. we will be posting a video with these videos in detail shortly! These two guitars are from the early 1990s and feature the incredible ‘Firestorm’ finish. The depth and richness of the red swirling pattern has really been catching the eyes of our customers since their very recent arrival. 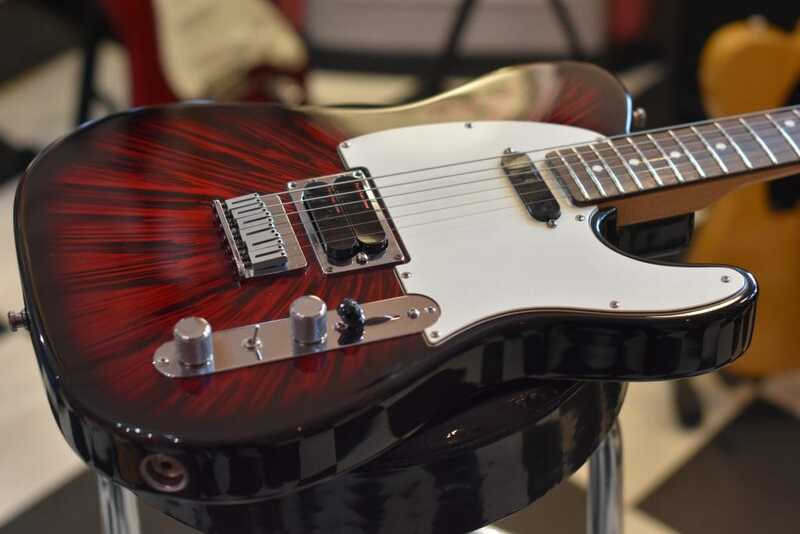 The Telecaster plus was made in a very limited run, making it a very rare find indeed. Where do we begin with these? 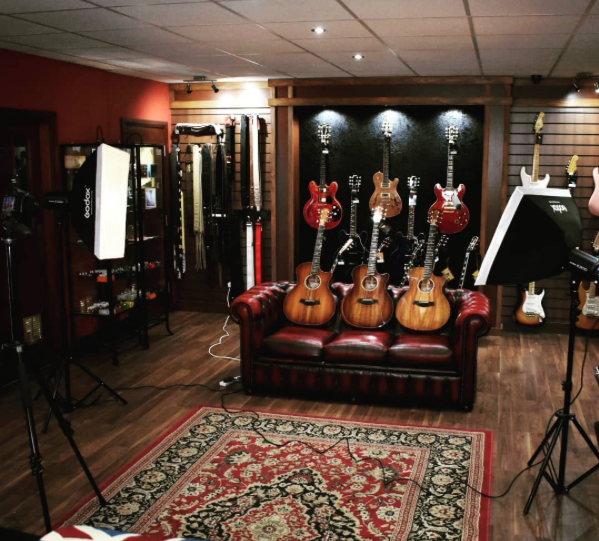 Director Tim went to the PRS experience, where he bought some of the finest stock that PRS had to offer this side of the Atlantic. 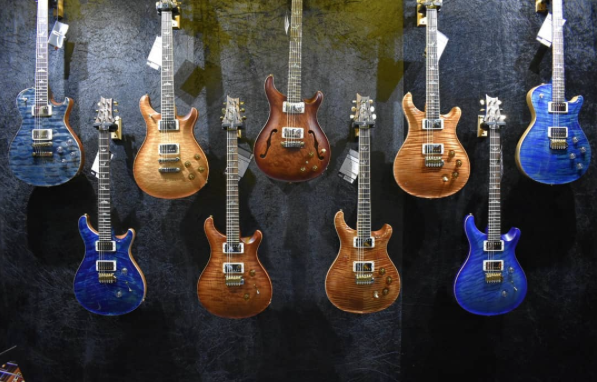 Satin finishes feature strongly in PRS recent creations, and we think they really complement their highly figured flame and quilt tops. Custom 24s, McCartys and SC-594s feature strongly, as well as hollow and semi-hollow bodies. So there is something for everyone to drool over! 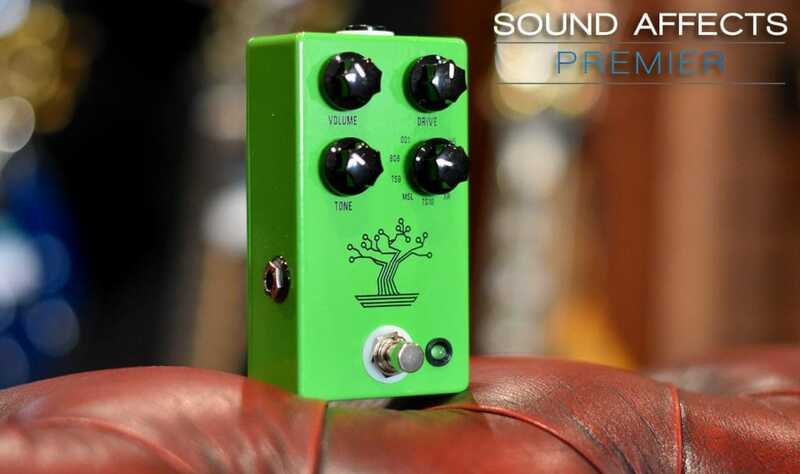 This is one hell of a pedal – The rather tubey, super screamy Bonsai from JHS features 9 different tube screamer alterations that we have enjoyed over the years. from the original TS808 and TS9 models, through to JHS’ own modernised version, there is the ideal tube screamer for everyone, in a lovely green box. 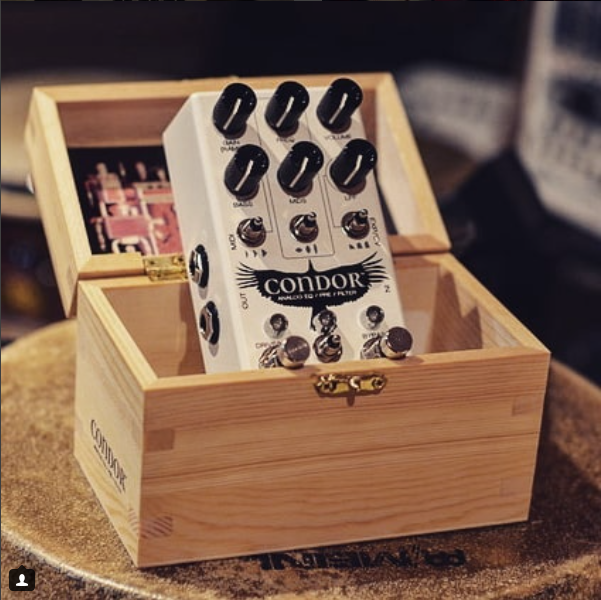 Another one from the pedal camp – the Chase Bliss Audio Condor is, well, a bit of everything really. but a bit of everything done phenomenally, in typical Joel Korte fashion. Playing around with this sophisticated pedal will find you a tone-shaping option that ranges from, boost to overdrive, subtle EQ to severe-carve filtering and much much more. this one deserves your attention. We hadn’t seen a Lowden in store for a long time, then we get two in one month! Lowdens are beautifully constructed, full-bodied, warm, comfortable and loud – in other words, a perfect example of a handbuilt acoustic guitar. 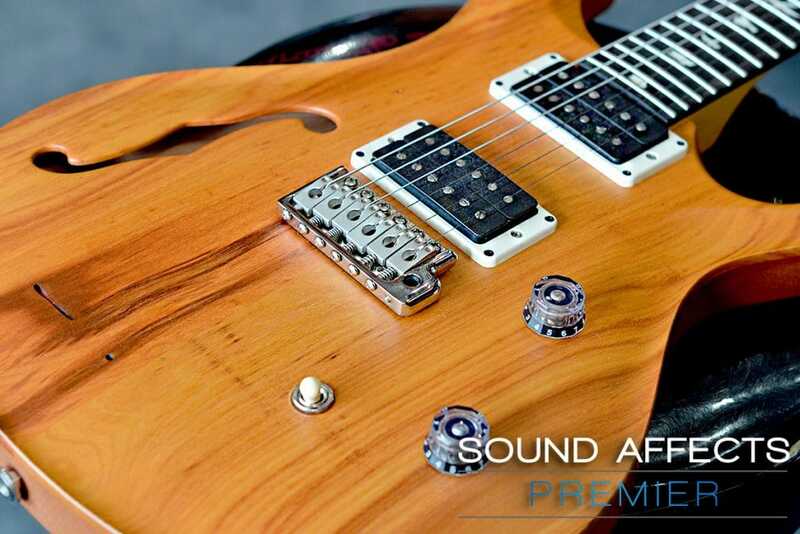 Crafted in Downpatrick, Northern Ireland by George Lowden and his small team of Luthiers we have a Pierre Bensusan signature model, as well as an FM Prototype, featuring Adirondack spruce tops for a highly musical and resonant response, and the Pierre Bensusan neck width of a 45mm Nut and 60mm String Spacing, for comfortable, roomy chording. 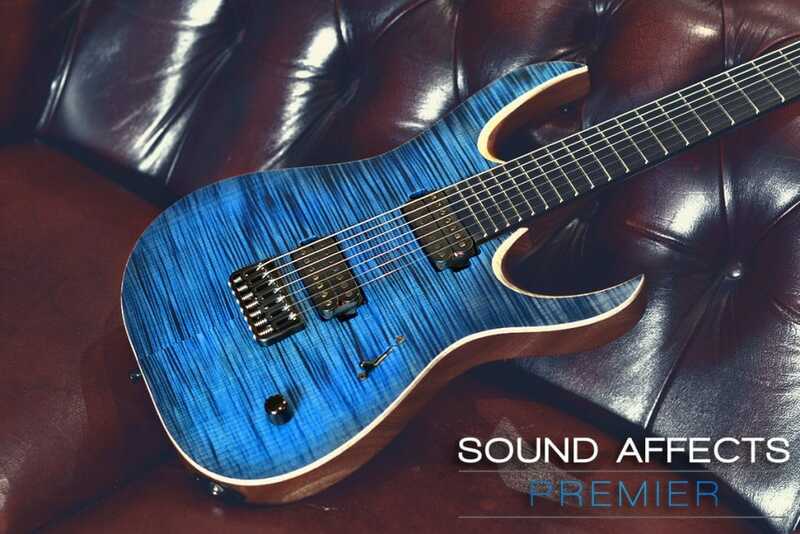 We are opening the door to extended range guitars here at sound affects lately – with a series of 7 and 8 string models coming through the doors from the likes of ESP, Schecter, Ormsby and now this – the Mayones Duvell. These handmade Polish guitars have been the hot topic in the Progressive Metal community for the last few years, with guitarists such as John Browne and Acle Kahney from Monuments and TesseracT slinging these djent machines over their shoulders. 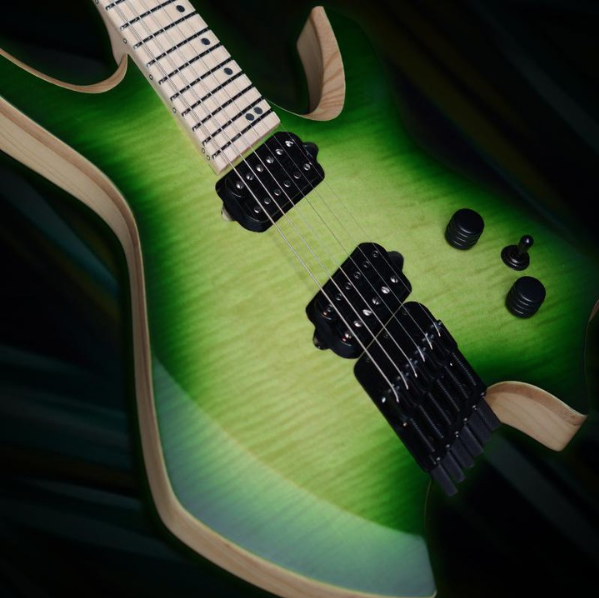 Another big hitter in the Progressive Metal world – Ormsby’s production models are Australian designed and crafted in the World Guitars factory in South Korea. We had two arrive this month, with more to arrive next month. The one featured here, the Moore edition Goliath GTR, is a headless design with a chambered swamp ash body, Hipshot hardware, in a beautiful satin green finish. 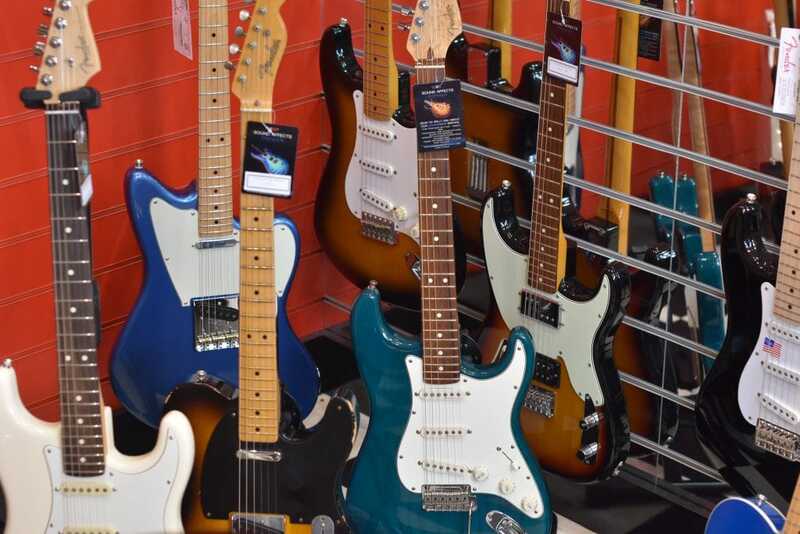 one of our favourite details about these guitars is the output jack being situated in the back of the guitar – Genius.